​Another of the most attractive stands inside the FIMA tour was Bellota Agrisolutions, then this post is for this company. The last day, we could pass a really good moment with them in their stand. Their reception was really nice... thank you very much for your kindness. 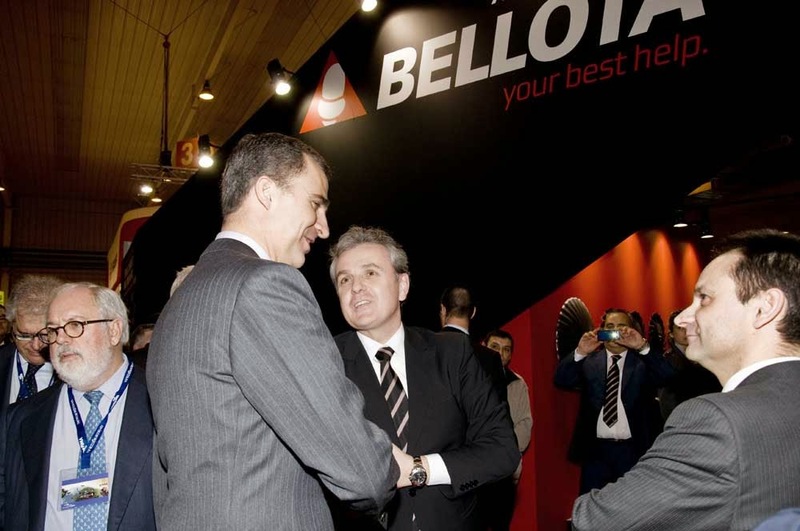 Bellota is a company which was born in 1908 thanks its founder called Patricio Echeverría. It didn't began to manufacture steels until 1931. Since then, the company has grown very quickly (the forging activity started in 1959) until converting in a multinational (they began to manufacture in Venezuela in 1978, in Colombia in 1987, in Mexico in 1994,...). The company even grew when it bought other companies like VIAT of Brazil in 1998, MULLER OUTILS in France in 1999,... in 2005 they opened a commercial office in Moscow. Notably, in 2008 (its centenary year) the company created a new factory in Milan (Illinois, E.E.U.U.) to offer a better service in North America. 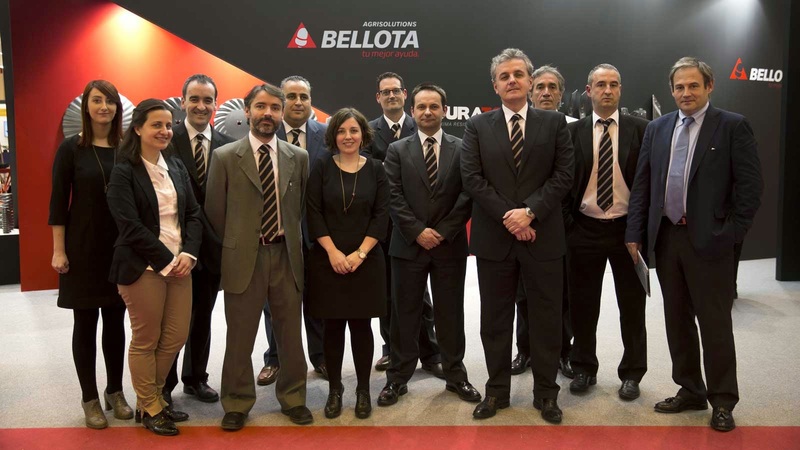 Finally, the Bellota Agrisolutions company was formed in 2010 and it was separated from another company branch called Bellota tools, so it created two new factories in India and Brazil. Nowadays, it is a leading company manufacturing spare parts for ploughs, harrows and harrows discs, seed drills and cultivators,... and they are providing their products to the most important manufacturers of agriculture tools in the world. And their original inPHInium technology. With Duratop technology, they have achieved having more resistant tools because the tool is enhanced with a small piece of tungsten in the part the tool contacts with soil. In the other hand, with technology called Intop, Bellota Agrisoluitons goes a step further so that this tungsten piece is fixed into the tool (you can see it in some our pictures), so they get a maximum resistance. Finally, their best product has been succeeded with the new inPHInium technology which is applied to discs, so they can accomplish long-lasting, discs without breaking, this tool joins flexibility, endurance, strength and agility at work. They published ​a couple of videos about their stand and FIMA 2014: video1 and video2.